Happy Mothers Day! Hope all the Mom's out there spent a wonderful day with family and friends. 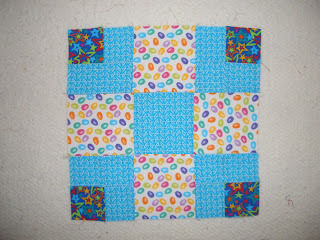 This week I am able to claim the 21 yards that I used for the Wine Country Quilt. What a great feeling! And I am very happy to report nothing added this week!!!! 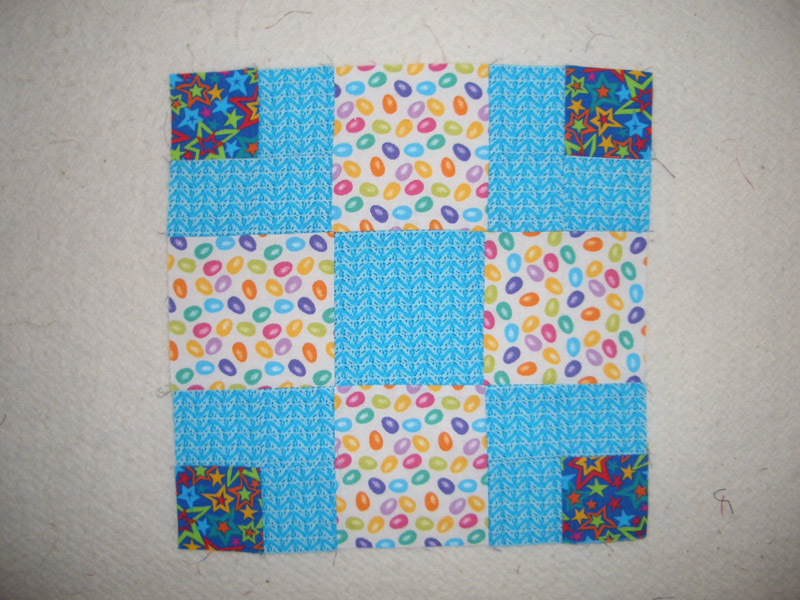 Below is the block for the block of the month for Sunshine Quilt Guild that will meet this Tuesday.This was a nice and easy block and we were provided the jelly bean fabric. It will be fun to see what colors everyone else uses. Sandi over at Kwiltnkats will be our speaker this month and is busy putting the final touches on her presentation. I am looking forward to hearing her speak and know she will do a great job!! Used this week: 21.0 yards.